The ship, the most intimate in the Emerald Waterways fleet, was purpose-built to sail the Douro River. 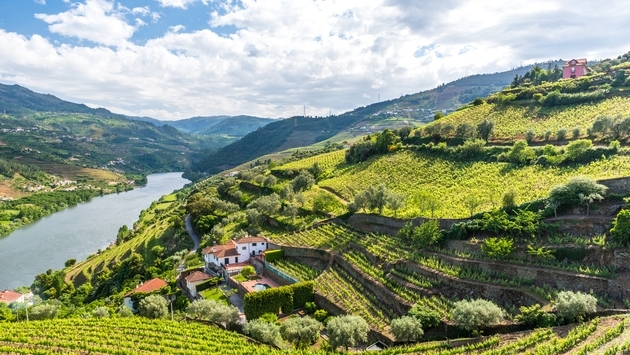 Emerald Radiance will transport clients through the spectacular scenery on Portugal’s Douro River, where stone walls lace steep hillsides, forming terraced vineyards, and red-tile roofs top white stucco wine estates. The most intimate ship in the Emerald Waterways fleet, the 112-passenger vessel is shorter than its sisters and was purpose-built to enter the Douro River’s five locks. 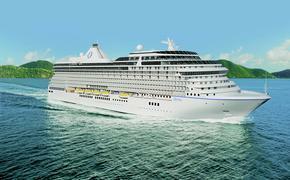 Couples and small groups, the ship’s core cruisers, choose from 56 outside staterooms in four categories. The most common, Panorama Balcony Suites, measure 160 to 180 square feet. Instead of a balcony jutting from the ship’s side, they have floor-to-ceiling windows that can be lowered to waist height, creating an interior balcony. Emerald Staterooms, 153 to 170 square feet, have picture windows. Two 300-square-foot Riverview Suites, a new accommodations category, are equipped with floor-to-ceiling windows on two sides of the stern. For clients with deep pockets, these make an outstanding choice for the best views. (All staterooms have views.) Two Owner’s One-Bedroom Suites, 285 square feet, have outdoor balconies. Meals with wine, beer and soft drinks at lunch and dinner, at least one excursion per port, standard gratuities, airport transfers and port taxes. Nightly musical performances in the Horizon bar and lounge. Emerald recently added active excursions, including guided canoe trips and vineyard walks. Reflections Restaurant serves buffet breakfasts and lunches, and à la carte, open-seating dinners featuring a mix of Portuguese dishes and other Continental fares. Light meals are available in the Horizon bar and lounge. The Sun Deck with swimming pool, lounge chairs and walking/jogging track is ideal for enjoying warm weather, scenery and navigation through locks. The Horizon bar and lounge features floor-to-ceiling windows plus outdoor seating on The Terrace. Massages are available in the Wellness Room. Late or light sleepers should avoid staterooms below the Sun Deck due to noise from its walking/ jogging track. Business development managers provide in-office training and marketing tips, and host consumer events. Fam trips are offered year-round. A rewards program enables agents to earn points for bookings, which are redeemable for products and experiences. —Douro River sailings are an excellent option for prospects and clients who have previously cruised the Rhine or Danube rivers. Engineering buffs will enjoy going through locks. —Emerald Radiance’s itineraries are a good fit for food and wine lovers. Select 2019 sailings will feature British celebrity chef Mary Berry. —With just 112 passengers, Emerald Radiance has a high crew-to-guest ratio of one to three.